Lexington, Ky. (Sept. 11, 2018) — Imagine you're a new foster parent, adoptive parent or kinship caregiver, and if you're being honest, it's nerve-wracking. No matter how prepared you are, once a child walks into your home, it can feel overwhelming. You ultimately need someone who understands; just ask Jenny Knecht. "Often, foster parents feel alone. They have questions and fears and don’t know who to turn to." Knecht understands, because she began her foster care journey nearly 10 years ago. Today, she is a mom of five. Three of her children are adopted, and Knecht is not ashamed to admit, being a caregiver is challenging. "The need for foster parents is so great and we cannot afford to lose good families for reasons that can be avoided, such as providing support," Knecht continued. "Even those that have experience with parenting will face challenges in their foster care journey. No one can go through this process alone. Not successfully." Undoubtedly, being a foster/adoptive/kinship parent can be demanding. Research indicates that caregivers often struggle to find support, especially in rural communities. On top of that, the number of children entering foster care in the Commonwealth continues to increase. In response to these challenges, the College of Social Work Training Resource Center (TRC) has launched a new initiative. Adoption Support for Kentucky – Virtual Interaction Program (ASK-VIP) is now available at two pilot sites in Eastern and Northern Kentucky. The online platform offers support for caregivers who are unable to attend traditional meetings. Jay Miller, associate dean for research; Missy Segress, director of the TRC; and Jessica Fletcher, associate director of the TRC, oversee the program. Karen Bowman administers the initiative. “ASK-VIP is an innovative approach to providing support to foster, adoptive and kinship caregivers across the state. What’s more is that the program is specifically designed to reach caregivers that would not otherwise be served," Miller continued. "Given the rising numbers of youth in out-of-home care, programs like ASK-VIP will be integral to ensuring the well-being of children and families. ASK-VIP is an initiative rooted in a common purpose; aimed at a common good; and, for the Commonwealth." ASK-VIP harnesses technology to organize virtual meetings. Group sessions occur at least once per week, while individual sessions occur throughout the week. These discussions are a safe space for caregivers to share their personal experiences without fear of judgment. Additionally, the program offers specialized training provided by a peer facilitator, who is also an adoptive parent. “The fact that I can interact with other adoptive parents and we can access support from one another virtually is really helpful. I live in a rural area and having children at home means it is not always easy to leave home to access services," Rachael Wall, an adoptive parent and peer facilitator, said. "This program has afforded me the opportunity to interact with other parents in a way that I never would have before." "I have seen families isolate themselves and then fail in their journey. With added supports, such as a virtual group, we can make sure our families feel supported and get their questions answered," Knecht, who is also a peer facilitator, added. 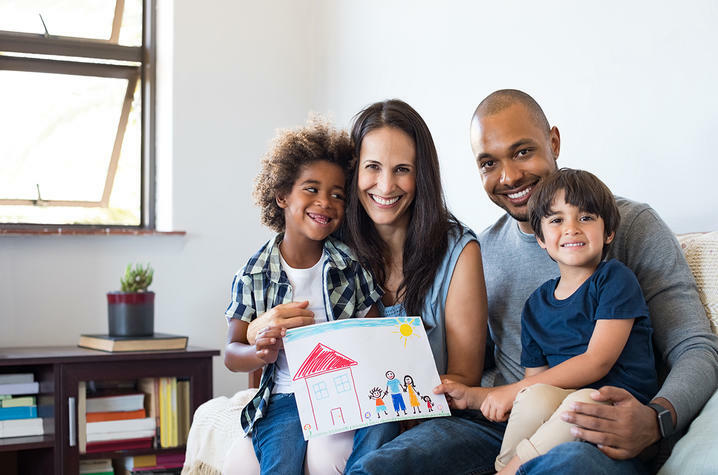 "Simply connecting with others that are going through the same things can often fill a void and rejuvenate foster parents, so they are able to continue positively impacting the lives of children." There are plans to strategically roll-out ASK-VIP statewide over the next 12 months. For more information about the Training Resource Center, please go online.